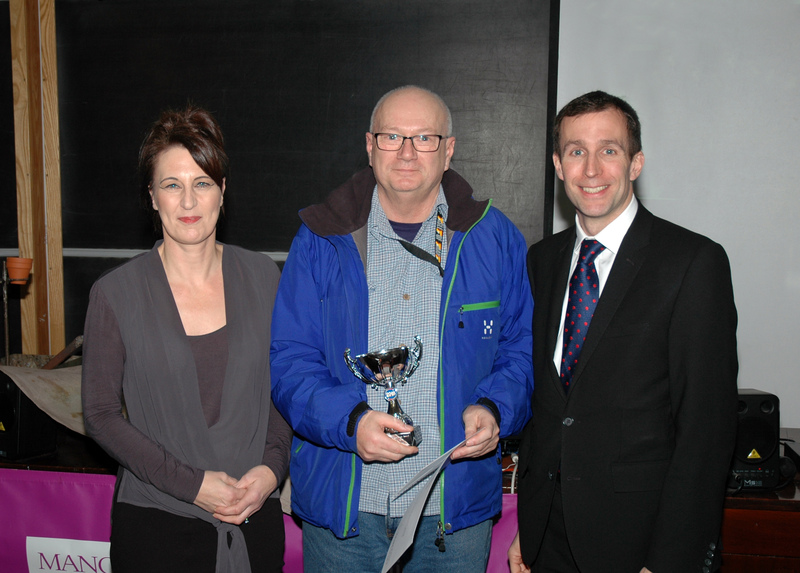 Pictured above - David Strong is presented with the Technical Excellence Award 2018 on January 7 2019, by Natalie Kennerley from Manchester Metropolitan University an external judge for TEaM Excellence Awards and the events keynote speaker, Simon Merrywest, Director for the Student Experience at The University of Manchester. David Strong a Research Technician at The University of Manchester School of Materials, was recently nominated for the annual Technical Excellence Award by colleagues wishing to celebrate his invaluable contribution to the research community in the School of Materials. Working closely with LightForm PDRA’s and PhD’s, David has provided training and supervision to countless other MSc, PhD students and research staff who he has developed, trained and instructed to his exacting lab space standards. David’s expertise and knowledge is also essential in facilitating experimental equipment design and build work for Academics, PDRA’s and PhD students, so that they can achieve their respective aims. A total of 32 nominations were received for the prestigious award, from across all University faculties, with a judging panel consisting of members of the Technicians Network at the Manchester Metropolitan University, led by Natalie Kennerley. We are delighted for David, as he has been awarded the Technical Excellence Award for 2018, which recognises his ongoing commitment to delivering an excellent student and staff experience.